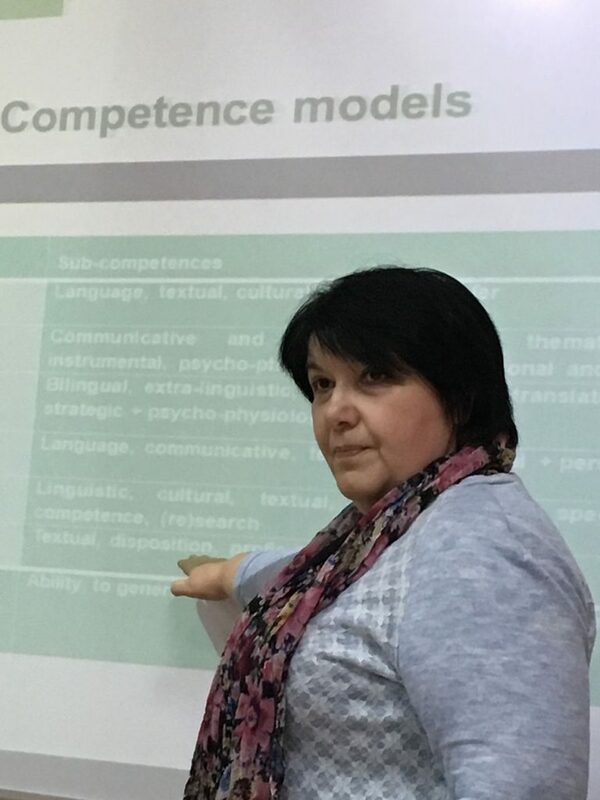 On October 26-27, 2017 a conference Theory and Practice of Language Education was held at Mykhailo Drahomanov Teacher Training University of Kyiv in association with UALTA. 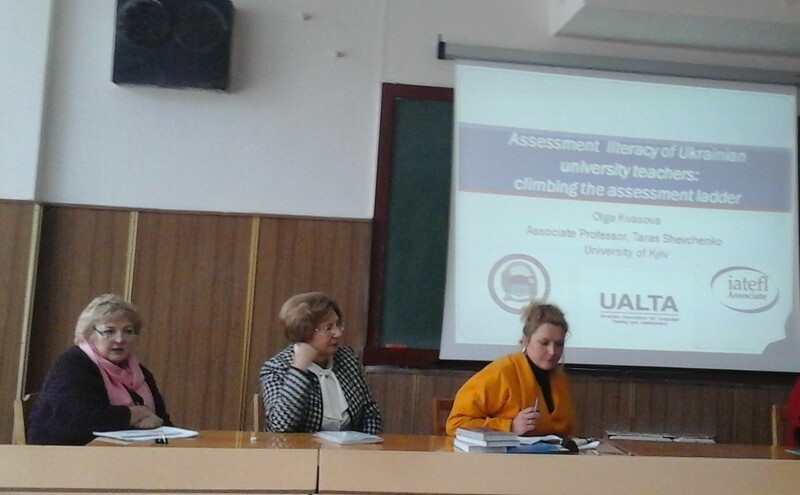 A plenary Assessment Literacy of Ukrainian University Teachers conducted by Dr. Olga Kvasova was followed by a series of workshops: ABCs of Assessment (Dr. Liudmyla Hnapovska), Assessment of Academic Writing Skills (Dr. Maria Pysanko), Assessing Translation (Dr. Tamara Kavytska), Testing Speaking in Ukrainian Universities (Dr. Olga Ukrainska) and Teaching and Assessing Intercultural Skills (British Culture in Films) (Dr. Iuliia Trykashna). 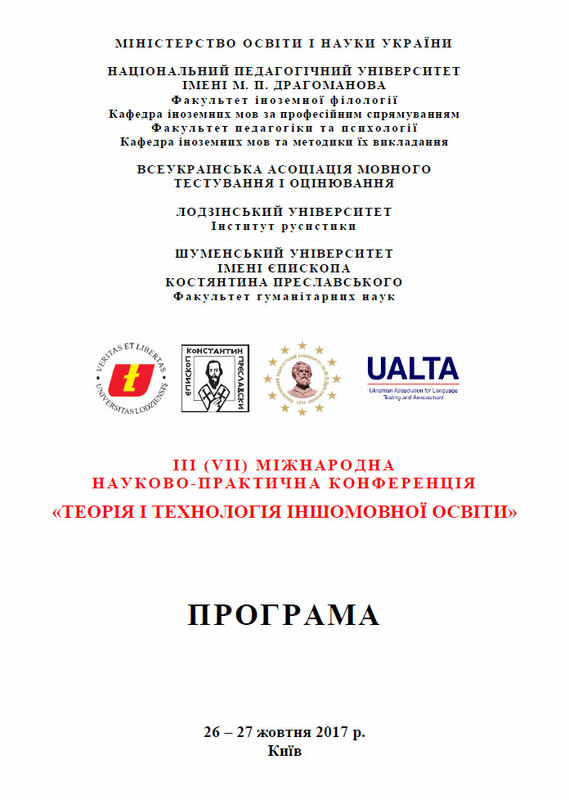 The conference concluded with the AGM during which the President reported on the achievements of UALTA in 2017 and the executive committee discussed plans and prospects for 2018. 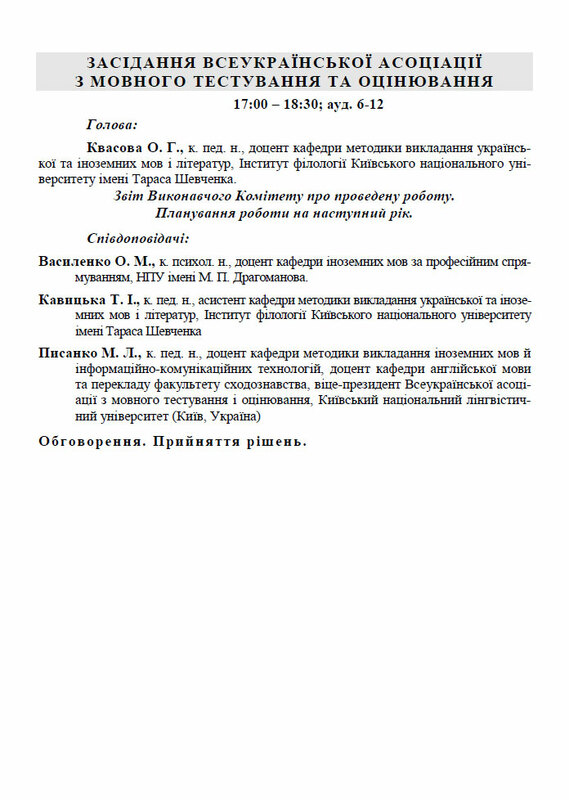 The papers by UALTA members, which were published in Volume 58 of NAUKOWYI CHASOPYS NATIONAL PEDAGOGICAL DRAGOMANOV UNIVERSITY, are posted in section Resources (Written in Ukraine) on this web site. 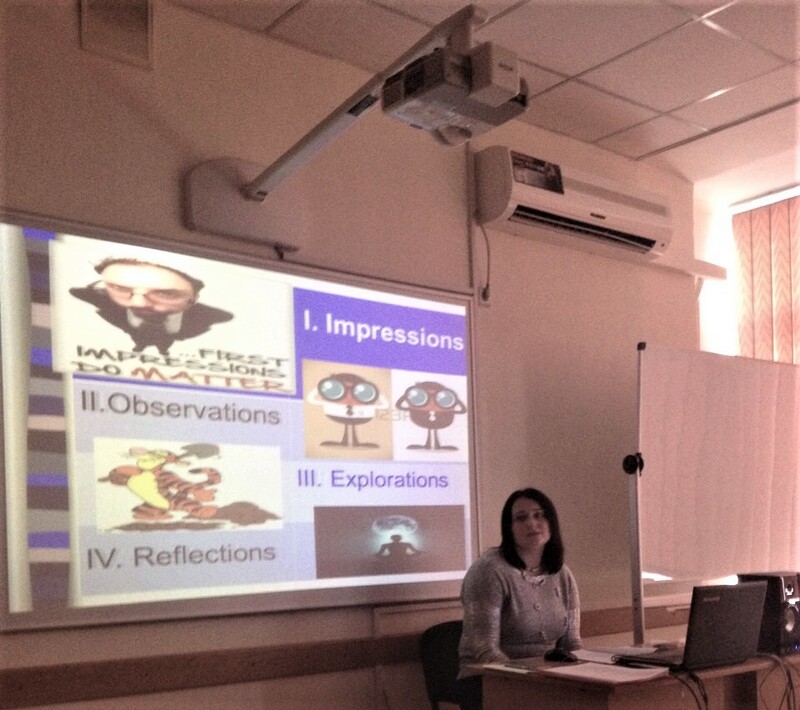 Kvasova O. G. AN INSET COURSE ON LANGUAGE ASSESSMENT FOR UNIVERSITY TEACHERS IN UKRAINE.